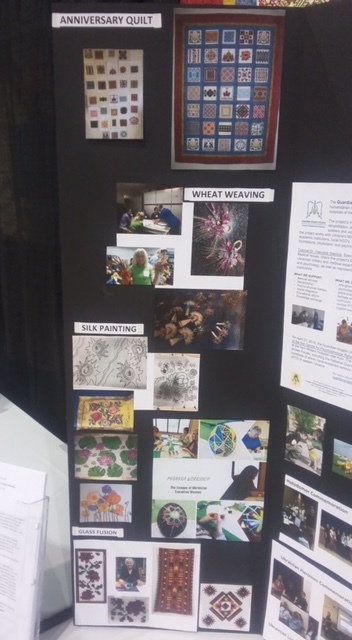 League of Ukrainian Women in Canada showcased its activities at the annual Ukrainian Festival held in Calgary. 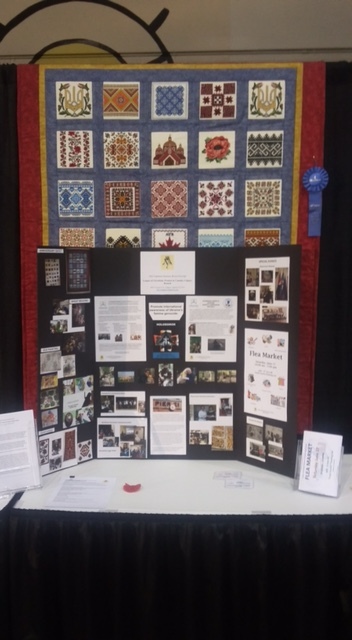 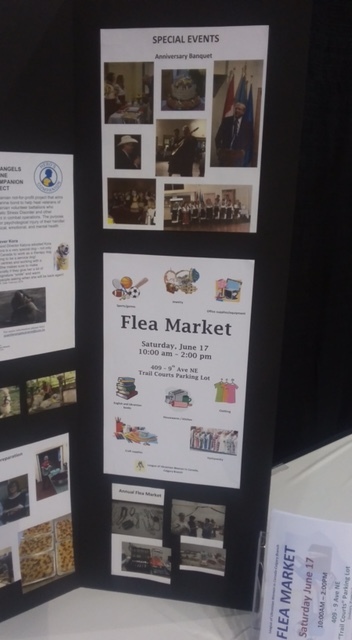 We set up a community table displaying pictures of recent League events and an Anniversary Quilt embroidered by our members several years ago to commemorate the 1025th anniversary of Christianity in Ukraine. 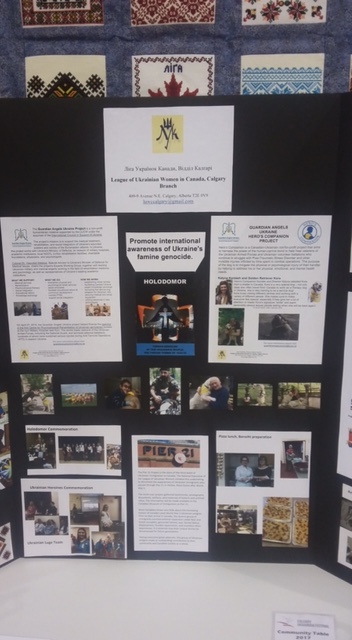 Special thanks to Stefania Savyn and Teresa Zalucky for setting up the table so all guests and participants of the Calgary Ukrainian Festival could visit our display and see what we do and what we contribute to the Ukrainian-Canadian community.